I’m a little baffled as to how this post title wasn’t used in past years, but whatever. It’s time for my annual round-up of the latest holiday music releases. The caveats are the same as always: whatever you do, don’t give a holiday album to someone on Christmas Eve or Christmas Day. It’ll rapidly lose its luster once all the wrapping paper has been swept away. Do consider it as a fun hostess, thank you or Secret Santa choice in the weeks leading up to the holidays. The nifty thing about a holiday album is you don’t have to worry TOO much about the reviews of it. As long as your giftee likes the title artist, you’re in business. For the record, it’s a very lady-filled year this time around, so prepped to hear some sweet dulcet tones coming out of your speakers. When I mentioned to my husband that the recently hitched chanteuse was releasing a holiday album, he nodded and said that made perfect sense. Kelly’s ultra-approachable yet soulful voice is a perfect match for mainstream holiday fare (plus a few obligatory original tunes – ‘Underneath The Tree’ channels Mariah Carey’s ‘All I Want For Christmas’). What’s most surprising is the sort of blues-y jazz vibe that Kelly lends to most tracks, as reflected in her choice to do both a electric guitar-laced cover of ‘Run, Run Rudolph’ and the heartbreaking ‘Please Come Home For Christmas’. A great, genre and age-crossing choice. While the cover of this album rather unfortunately reminds me of the ‘bird lady’ in the second Home Alone flick, the album itself provides plenty of opportunities to simply close your eyes and bask in Boyle’s trademark, soul-stirring voice. The arrangements aren’t particularly groundbreaking here, but they do serve as a lovely backdrop to an afternoon spent baking cookies or sitting down to dinner with the family. Inoffensive, pretty, and not a hint of butchering the classics – what more could you (or your mother-in-law) ask for? Believe it or not this is folk / country singer Jewel’s second kick at the holiday can. 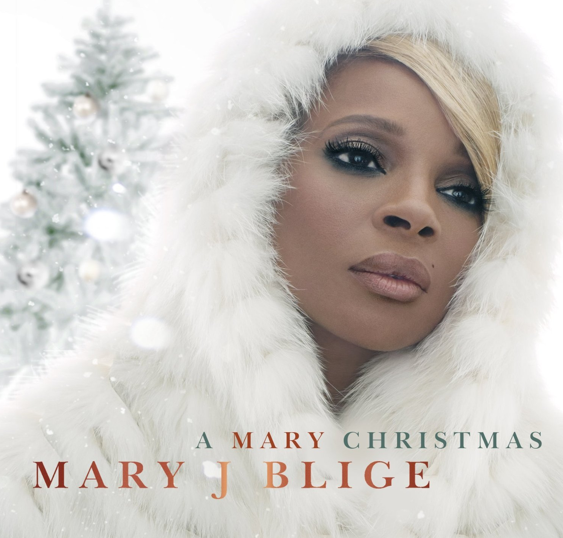 The album features plenty of holiday classics like the titular track, but also includes two originals that blend in quite seamlessly with the rest of the mix. Admittedly, while the stripped-down arrangements stay several steps away from overprocessed, they are also a whole lotta honky tonk. Gift this to the country music queen in your family, or to your big sis that listened to ‘Hands’ on repeat in the 90s. Few things I love about this album: first off, Mary J Blige’s voice sounds phenom here; used in alternating strokes as a jazzy bebop singer and as a classic, Etta James-esque soulstress. The lack of theatrics and overall clear-hearted approaches to the material is refreshing. Second, the playlist is a little different than you might expect: ‘My Favourite Things’ and Disney track ‘When You Wish Upon A Star’ are among the choices. Third, Mary’s lined up a pretty solid list of duet partners, including Jessie J on a simple interpretation of this post’s title, Barbra Streisand, Chris Botti, The Clark Sisters, and Marc Anthony. I know. 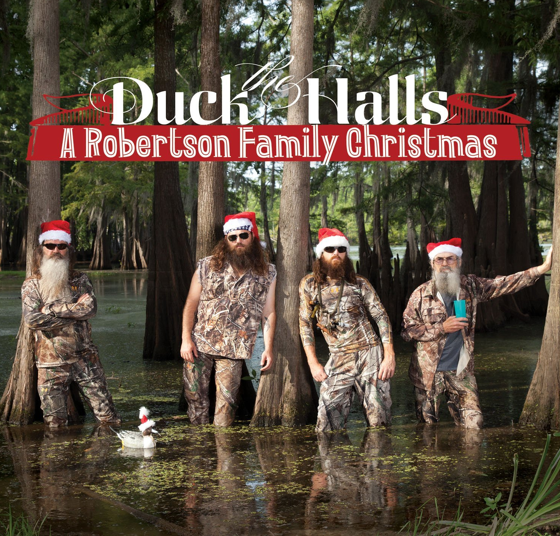 While you could quite easily dismiss this as a novelty gift for the Duck Dynasty diehard on your shopping list, the Robertson family is quick to note they grew up singing holiday carols in church. That being said, this country-flavoured album enlists plenty of guest stars to help them round out their vocal ‘talents’ for a relatively interesting compilation album. really though, the attraction here is twofold: one, satiating your curiosity about whether or not the bearded clan can actually croon and two, featuring plenty of funny interludes from the gang that’ll resonate with any fans of the show. There you have it! While there are a smattering of other choices and compilations hitting the shelves this most festive time of year, these are probably the five buzziest of the bunch. Happy shopping (and listening). And hey, if you want to earn a bonus entry into this month’s philosophy giveaway, tell me in the comments below – which of these albums would most likely be spinning during your holiday festivities? Susan Boyle “Home for Christmas” would be my choice. I would most likely be listening to Kelly Clarkson: Wrapped In Red! Jewel – Let it Snow would be a great addition to our holiday music library. Jewel: Let It Snow: a Holiday Collection! I used to love Jewel as a teenager! I’m going to have to vote for Susan Boyle, as the others are a bit too country for me. Jewel: Let It Snow is going to be on my shopping list. Mary J. Blige’s album sounds terrific! Would just die to hear her duet with Chris Botti! Kelly Clarkson would be my choice. Jewel would be my choice. I’ve always loved her voice. 🙂 Thanks! Philosophy bonus entry: of these albums, I would most likely be spinning during my holiday festivities, “Kelly Clarkson: Wrapped In Red – $10.98” … a change-up to the traditional songs, nice! I would play Jewel: Let It Snow: a Holiday Collection. I would most likely be spinning Kelly Clarkson’s Wrapped in Red this holiday season.